Why A.I and machine learning is the key to unlocking creativity and productivity in your business by Tom Myles, CTO of The ai Corporation. A few weeks ago, the Royal Society of Machine Learning released a report considering the state of machine learning in the UK. It contained a lot of valuable information on the history, current implementations and future uses of A.I – I wanted to share my highlights of that report and investigate what it means for businesses. 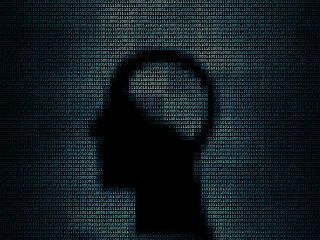 As with many reports and studies around the ‘rise of the machine learning’ era the Royal Society of Machine Learning’s report shouts about the potential that A.I solutions can provide to every corner of our society, it also highlights legitimate concerns from the same societies that A.I technology is meant to benefit. The report references a survey conducted by the society, which shows that there is an overriding concern, also aired in the national press, that jobs will be stolen by the machine, big businesses will increase profits and the unemployment lines will grow. Other concerns include the possibility for the machine to cause real harm due to a fallibility in their design, for instance, if an automated vehicle were to be hacked and used in a harmful manner or if a medical robot were to misdiagnose an illness harming the patient. The survey also showed that there is a real concern that skill levels will be eroded and that there should be a focus on up-skilling in areas of data science and machine learning, to provide a career path to those who will be displaced by the application of these solutions. That got me thinking, advancements and innovation have caused this kind of effect for centuries; take the invention of Abacus that through comparatively simple logic enabled merchants to trade great sums quickly, or the Archimedes screw that replaced the need to carry water uphill, providing valuable sustenance to hill top pastures. Both were mechanical advancements that put humans out of jobs, but it also enabled those same humans to grow more goods and, in turn, to grow their economy. This is very familiar to current applications of machine learning and A.I. My team’s mantra is to ‘simply stop fraud’, and we do what we do because we ultimately want to use artificial intelligence to release human creativity. It continues the same trajectory as the Archimedes screw. Teams that are impacted using machine learning and A.I can now focus on growing their business and personal success. The report also demonstrates the potential for A.I to make a real difference in every corner of our society. A.I is undoubtedly a valuable tool, and if its fed with valuable information, can be used in all sectors and in all aspects of life - improving our experiences, reducing risk and increasing productivity and creativity. As my team and I have found, the report draws upon the importance of data, both the quality, accuracy, descriptive ability and, most importantly, access to good data. Machine learning works best when you can build up a picture, much like a 3D model. One slice of 3D model will provide limited value or insight, but all or some of the slices layered on top of each other in the correct sequence, another descriptive layer, provides clarity. In transactional monitoring, a multi layered view is gained by combining the history of a consumer and augmenting that view with additional data elements to describe the behaviors of account or card holder. These additional data elements can be external sources, public and proprietary, as well as dynamic data drawn from the transaction itself. This approach enables the technologist to pinpoint normal and abnormal behavior, enabling the organisation to target risk strategies to increase fraud detection and reduce incidents of insulting their customers by declining a transaction. Alternatively, the data derived from the multi layered approach can enable an organisation to identify the attributes of a valuable or loyal customer to improve the effectiveness of sales and marketing campaigns and customer interactions. Some of the concern around the progression of A.I is based on the fear that an individual’s data is shared without consent and used for negative purposes - cold calling or social engineering are two well-known examples. Legislative bodies are working on the foundation of protecting consumer data, and legislation like General Data Protection Regulation (GDPR) will allow access to the decision being made by machine learning platforms and importantly the logic behind the decision. The extent to which an organisation will be required to prove the logic is unknown at this stage; but it would be meaningless to present the algorithms and techniques used to the average consumer. But a balance must be met. The future of machine learning lies with packaging intelligent solutions into comprehensible and relatable applications. As the report suggests and the history of society proves, we will embrace and profit from these kinds of applications. To support the progress of A.I applications, it is essential that the education sector and all employers adopt and embrace A.I. In the future, the high performing employee will be able to interrogate big data, profile patterns and predict growth levers. Those same employees will need the focus and autonomy to interrogate these avenues and learn from their mistakes, much like the machine learning algorithms they will be applying. I firmly believe that A.I and machine learning will release human creativity and that freedom will, in turn, allow humans to realise the potential of the technology and its application. Some of us are demonstrating how some tasks, that would take a human 2 weeks to complete, can be turned around in less than 2 hours by a machine. Exciting times.